Matthew’s gospel was written by Matthew, the tax collector-turned-follower of Jesus, and one of the 12 apostles. Most scholars believe that Matthew wrote his gospel in the late 50s or 60s to Jews and Jews who had become Christians. What emotions do you think arose in Joseph when he learned that his fiancée was pregnant? Why do you think the angel who appeared to Joseph refers to him as the “son of David”? Can you think of a time you decided not to do something, even though you knew it was the right thing, for fear of what other people might whisper about you behind your back? 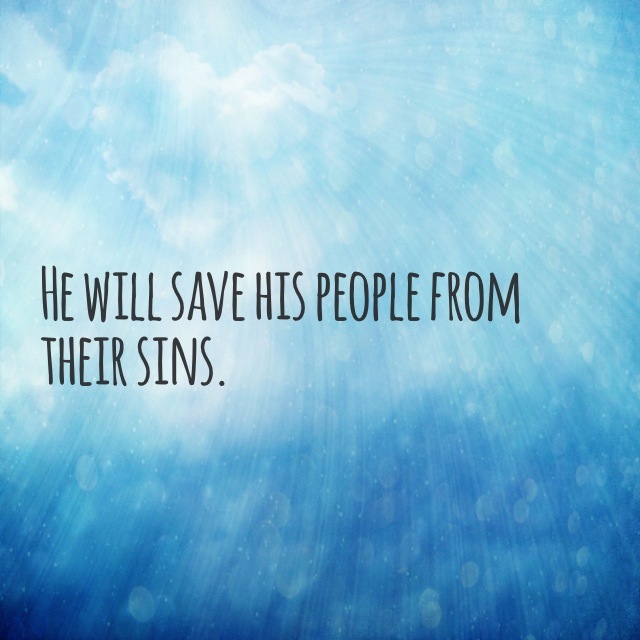 What does it mean to you to be saved from your sins? Thank you for Joseph and the courageous and faithful servant he was. I pray that I can display such courage to do the right thing even when others will talk about me and gossip behind my back. Help me overcome fear in taking actions I know to be right. I am bended low in gratitude and humility that you sent your son to save me from the captivity of sin and the separation it caused between us. I am overjoyed that now I have the ability to approach you through the one who saves.